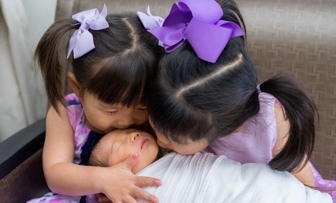 Update: This deal is back for one day again – February 19th, 2019. The benefit of “old-school” desktop tax software is that it doesn’t require your Social Security Number and financial details to be stored in the “cloud”, a fancy word for a third-party server where it can be copied or hacked. 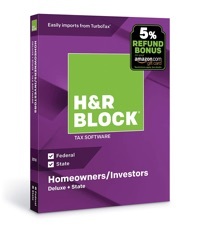 Here’s a limited-time deal on H&R Block Tax Software 2018 (PC/Mac download or physical CD). Amazon has H&R Block Deluxe Federal + State for $18 (list price $45), the lowest price of the year per CamelCamelCamel. This is a 24-hour “Deal of of the Day” (sorry I don’t get advance notice) and matches the lowest price ever for the 2017 version ($17.99). Download or disc. If it is out of stock, you can still buy it and lock in the price. In past years, it has gone on sale for only a few 24-hour periods at this low of a price. H&R Block Deluxe includes guidance for stock gains and losses, home mortgage interest deduction, and other itemized deductions. Compare that against TurboTax Deluxe Download which makes you upgrade to TurboTax Premier to get guidance for stock sales and dividends. H&R Block Premium includes rental properties and self-employment. All flavors include “Refund Bonus” where you can a 5% bonus if you take your refund in the form of an Amazon gift card. Keep in mind that for these products 5 Federal e-Files are included but State e-File is extra ($19.95 per state). I would personally just print the (usually shorter) state return out and snail mail it in if you don’t have a free State e-File option. Will H&R import TurboTax file seamlessly? Last time I tried it’s not quite right. Have you tried Credit Karma Tax? It’s free and I’ve used it for a few years now with no issues. Maybe you can write a review on it? This morning I also saved an additional 20% by buying a CD and paying with AMEX MR points. Thank you for the deal!